Target: TODAY ONLY! 12pk of soda for under $2! Today only get 4 12pk's of soda for only $1.95 each! 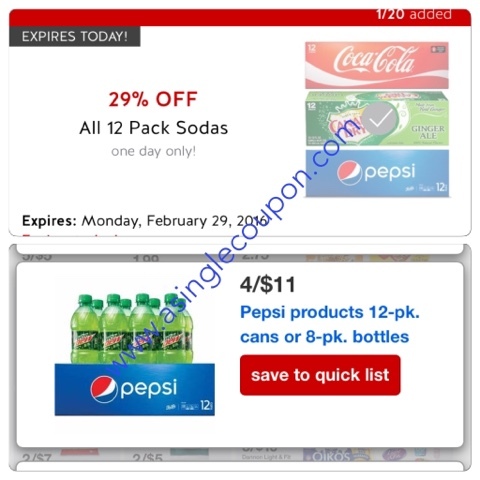 You must buy 4 to get the $2.75 price plus then use 29% cartwheel offer! Bing the cost down even lower by using your Target RedCard!